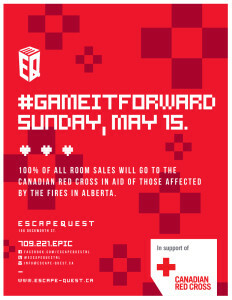 Throughout the entire day, Escape Quest is encouraging the public to ‘Game it Foward’ by booking any of their four escape room adventures. “Whether you are our biggest fan or have never heard of us until now, we want folks to come out and play, have tons of fun, and support a really great cause” says co-owner, Mark Denine. Less than a year old, owners of the young business hope to break record sales with the goal of selling all available rooms. “We are hoping for a big day and are excited to donate every bit of it to the Red Cross” says Denine. 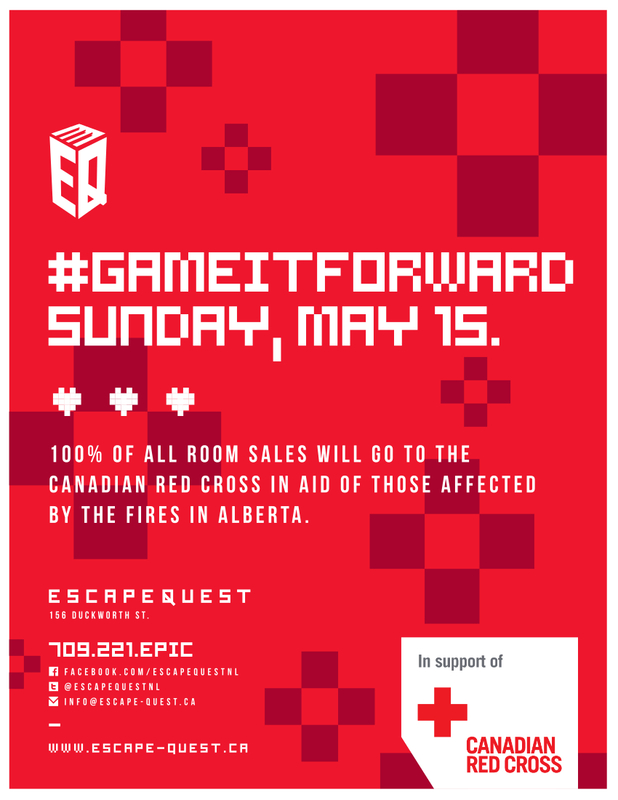 Escape Quest chose the Red Cross as the Federal Government has committed to matching all donations to their Fort McMurray relief initiative. To learn more about Escape Quest or to participate in ‘Game it Forward’ book your escape adventure for Sunday, March 15th online atwww.escapequest.ca or by calling 221-EPIC.